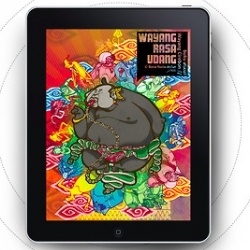 Bratasena Project : Turning 'Wayang' (Javanese Puppets) into iPad application. 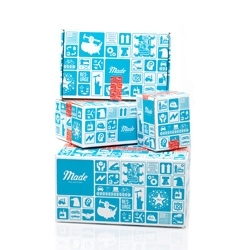 Love the packaging for Made Collection, the first flash-sale site for premium American-made products. Packaging design by John Kieselhorst and designers TC Cleary, Chad Poorman. 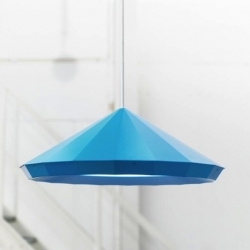 Designed by Henrik Preutz and proposed in blue, yellow and black, this suspension is for the IKEA PS Collection 2012. Pets Rock. 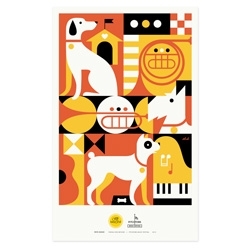 Purina ONE, sponsors of the 2012 Pitchfork music festival and Zeus Jones created a series of posters celebrating the awesomeness of pets and music. 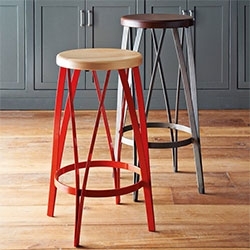 By Lab Partners, Brent Couchman, Tad Carpenter and Eight Hour Day. 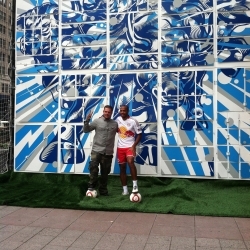 Tristan Eaton collaborates with soccer superstar and Red Bulls forward Thierry Henry on a mural. Henry shot soccer balls at targets that released triggers and actions that revealed the 24 x 21 ft mural of bulls charging. 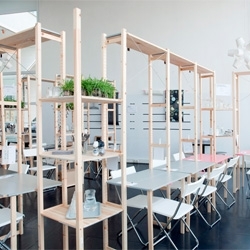 IkHa, a popup restaurant filled with Ikea hacked furniture in Filmhuis Den Haag theatre in The Hague. 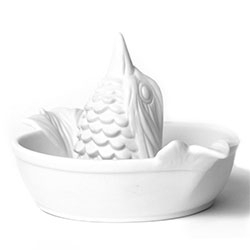 Designed by Oatmeal Studio. 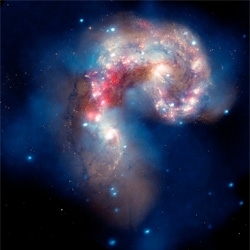 Beautiful Images of Cosmic Impacts from Wired Science. 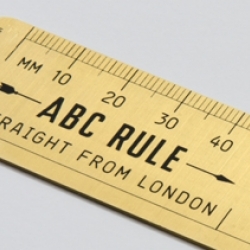 Magpie Studio invents a new type of ruler for Icon Magazine's Rethink page. 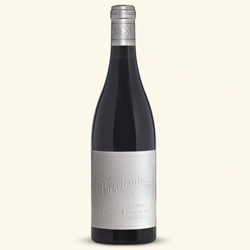 Letterpressed wine labels for Porseleinberg by Fanakalo. 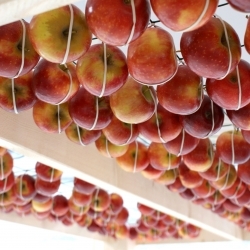 A new way of eating apples, by the french food design studio Miit. Interview with top medical animator, James Archer. 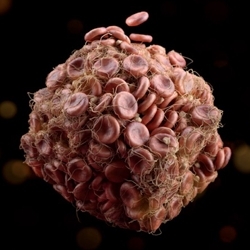 His 3D medical illustrations captivate the viewer with their diffuse lighting, organic hues, intimate depth of field, and overall softness that make anatomy and science look almost poetic. 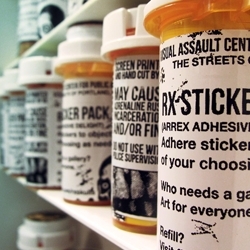 Created by Portland street artist, Rx, these prescription bottles have been modified to hold a bounty of street art stickers. Warning: May cause adrenaline rush, incarceration, and/or fine if taken on city streets. High security hand cuffs are less secure when you can simply laser cut or 3D print keys as shown in a workshop Friday at the Hackers On Planet Earth conference. The new head office of Pride And Glory Interactive in Krakow by Morpho Studio. 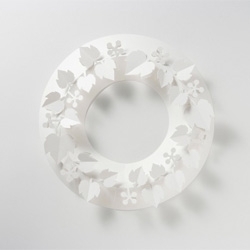 Paper Wreath by Chiori Ito Design. 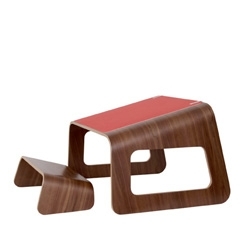 The Knelt Desk by Ubiquity Design Studio. 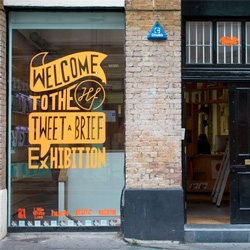 FEATUREDThis week’s roundup from NOTCOT.org includes saucy Victorian pop-ups, glass blowing and indoor tents. 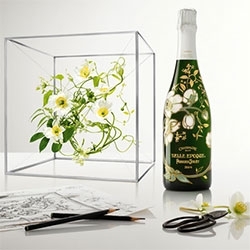 Perrier-Jouët Belle Époque Florale Edition - A collaboration with avant-garde floral artist Makoto Azuma. Beautiful!!! 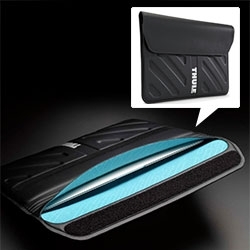 Thule Gauntlet MacBook Air Sleeves - Stitch-free, heat welded seams and an additional fold at the entry point create water-resistant defense! 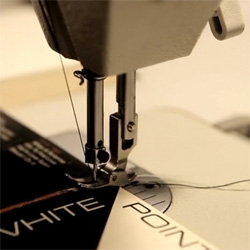 VIDEOWatch as record covers are transformed into notebook covers in 12 Inch Notes. 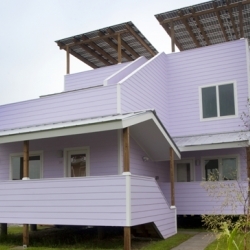 Frank Gehry Conjures a Pastel Duplex in New Orleans's 9th Ward. 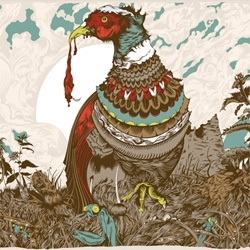 Its Nice That interviews illustrator Tim McDonagh. 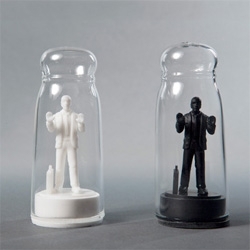 Drowning in Debt Salt and Pepper Shakers by Sebastian Errazuriz for Kikkerland. 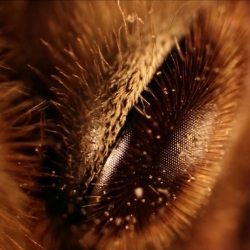 VIDEOPlant Study by Kurt Kaminski showcases beautiful biology, collected around Los Angeles and filmed under a microscope. 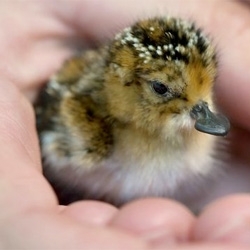 Critically endangered Spoonbilled Sandpiper chicks hatch at the Wildfowl & Wetlands Trust Slimbridge Wetland Centre in Gloucestershire. The tiny chicks have almost heart-shaped spoon-like beaks! 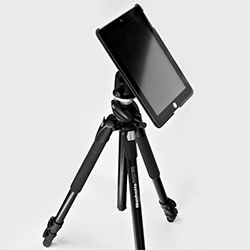 VIDEOWTPh? 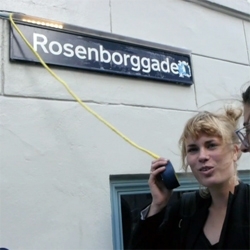 What the Phonics by Momo Miyazaki and Andrew Spitz is a device that helps with pronouncing the street names in Denmark. 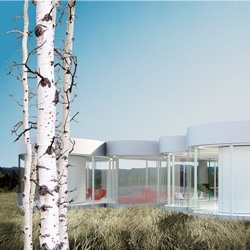 Cloud House, a weekend home in rural Colorado by Axis Mundi. 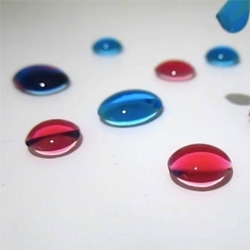 VIDEOAudible color by Hideaki Matsui and Momo Miyazaki recognizes shades of color as sounds. 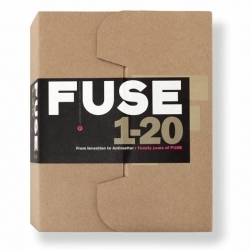 Launched in 1991 by Neville Brody and Jon Wozencroft, 'Fuse' is a design and experimental typography publication with some of the greatest contemporary artists of font design. 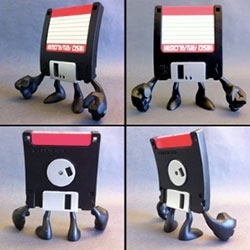 Squid Kids Ink's A-Drive ~ your old floppy disks gets reborn as a vinyl toy! 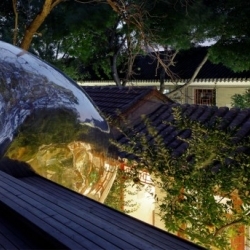 Hutong Bubble 32 is a metallic bubble built in a small courtyard in Beijing.It provides a toilet and a staircase that extends onto a roof terrace for a newly renovated courtyard house. 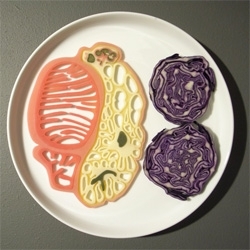 De Etende Mens, a new exhibition exploring the culture of food and eating by design at Designhuis, Eindhoven. 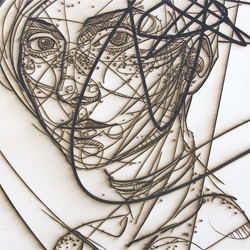 Love these new laser etchings from illustrator Jason Theilke. 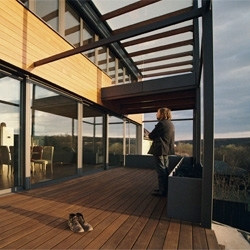 Villa P by Architektonicke Studio Atrium in Karlovarská ul., Košice, Slovakia. 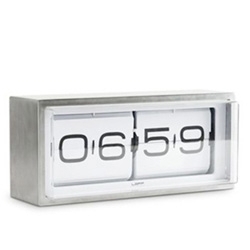 The Brick and Flip clock by Erwin Termaat for Leff Amsterdam. 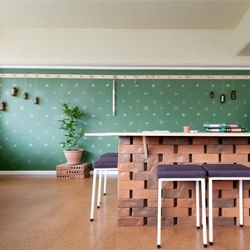 Design & build of Six Barrel Soda Co. in Wellington, New Zealand, by Common. 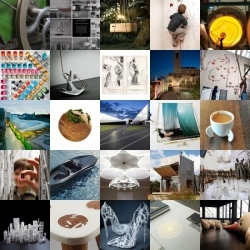 They completed everything from naming to branding to cafe design and build. 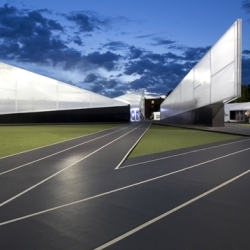 Nike’s incessant drive to push creative limits has resulted in their partnership with creatives at Hush and architecture firm Skylab for the creation of 'Camp Victory' at the Olympic Running Trials in Oregon. 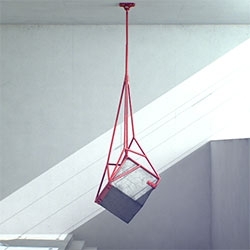 Measure by Fabrice Le Nezet - a concrete and metal physical representation of the idea of measure. 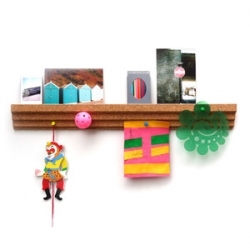 "The objective was to 'materialize' tension in a sense, to make the notions of weight, distance and angle palpable..."
Cork Picture Rail Design by Erin Deighton ~ nice idea to combine a ledge to place frames on and still pin to the bottom! 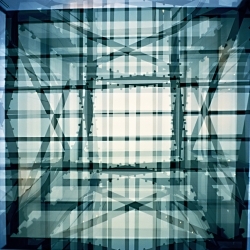 Vertical Density, series of images that translate the ceaseless landscape of skyscrapers in Hong Kong. 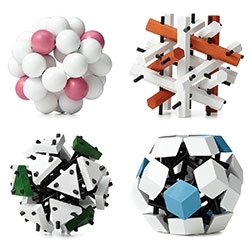 Geometric Wood Puzzles! 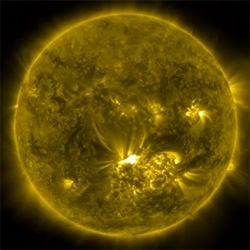 "Once you've completed the Atom, the Molecule poses the next challenge, and then the Particle will stump you. 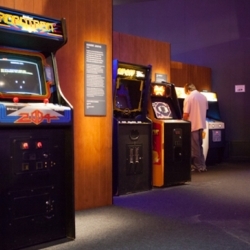 Up for the ultimate challenge? You can tackle the Cell." 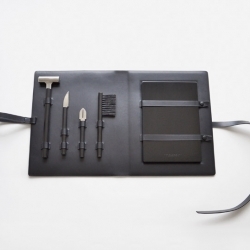 Dessert set is a minimalist design created by France-based designer Jacques-Elie Ribeyron. The project consists of a small hammer to break chocolate slabs, a nut cracker, a fruit knife, a brush, and acutting board. 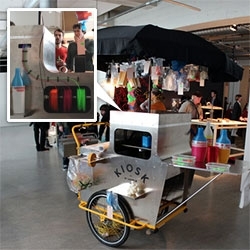 Unfold Studio's 3D Printing Kiosk 2.0 ~ For the exhibition After the Bit Rush, Design in a Post-Digital Age. "Kiosk is a project that explores a near future scenario in which digital fabricators are so ubiquitous, that we see them appear on street corners"